Jeffrey continues “Other benefits of using a travel management company include the benefit of insider knowledge. As part of our daily routine EQ Travel monitors global events and activity so we can respond quickly when major disruptions to travel occur. When flights are cancelled leaving travellers with lengthy delays or being stuck over night, EQ Travel can immediately rebook individuals onto later flights or recommend travelling by train if weather conditions are unpredictable. 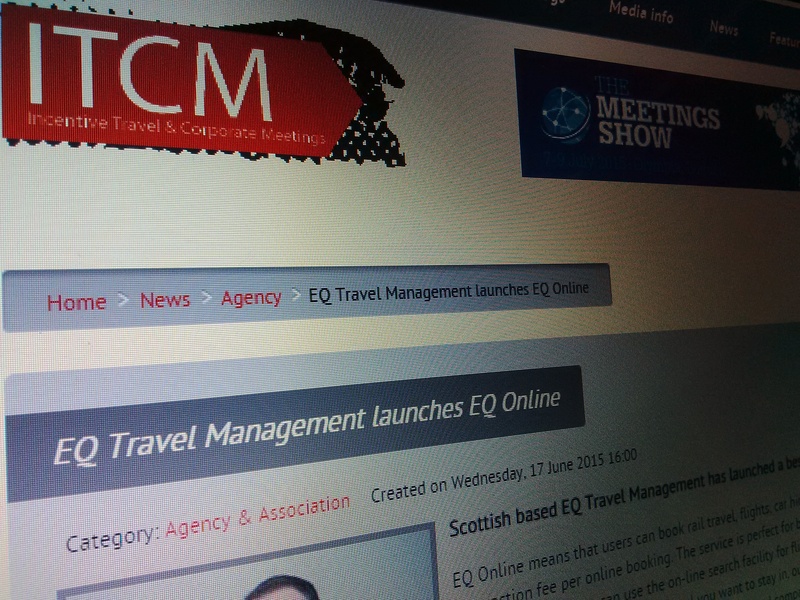 The key is because SME’s are using a travel management company they have systems in place, they can often do this before the travel issue become public knowledge, therefore finding solutions before the rush starts.” Formed in 2011 by Franc Jeffrey, one of the UK’s leading figures in travel management, EQ Travel Management was created to meet the rapidly changing needs of clients who became more focuses on maximising return on spend across all areas of their business, such as business travel during the recession.